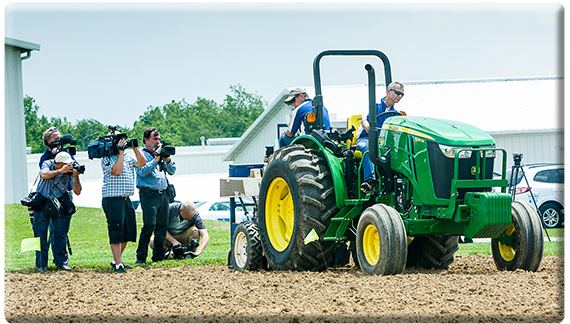 LEXINGTON, Ky. — The University of Kentucky launched its industrial hemp pilot program today when hemp seeds were planted at Spindletop Farm, marking another milestone in the drive to restore industrial hemp production to the Commonwealth. Scientists in UK’s College of Agriculture, Food and Environment will conduct two trials for fiber production and one for seed production. They will seek to identify varieties best suited for Kentucky, measure yields of fiber and seeds, and study potential weed, disease, and insect problems. The hemp seeds were sourced from Italy through Original Green Distribution, of Prescott, Wis., which specializes in green, bio-based building materials, including hemp. OGD has an interest in building the infrastructure for domestic industrial hemp production. Kentucky was the nation’s leading hemp-producing state through much of the 19th century, but production waned beginning in the latter part of the century, and Congress made it illegal to grow hemp in the 1930s. Hemp production was restored in the early 1940s to support America’s armed forces during World War II. After he took office in January 2012, Commissioner Comer revived the Kentucky Industrial Hemp Commission and pushed for legislation to make industrial hemp production legal in Kentucky, which passed in 2013. The federal farm bill, which was signed into law by President Obama in February, authorizes hemp production for research purposes in states such as Kentucky where hemp production is legal under state law.